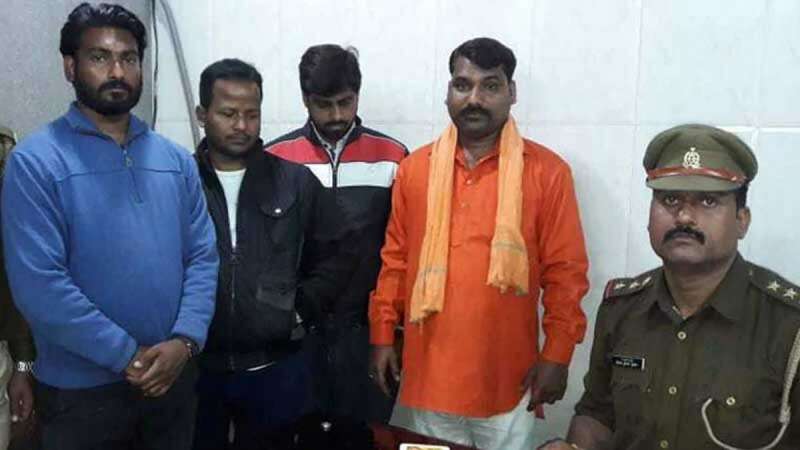 Lucknow : Two dry fruit vendors from Kashmir were thrashed by men from a fringe right-wing group in Lucknow last evening. The attack video has gone viral on the social video; the cops have also arrested four of the attackers. In the video shared on the internet, one of the vendors can be seen sitting on the roadside with their wares spread out, were seen being beaten up by men dressed in saffron. The victim men then can be seen pleading for mercy. Another video shows the attackers ask the second vendor for his identity card as he tried to pack up and leave. Identified as Mohammmed Afzal Naik and Abdul Salaam, the victim men were later rescued by the locals, who also called the police at the incident site. "They said we are terrorists. We were told that we sell items here and throw stones there. They started thrashing us. They asked for our Aadhaar cards. We showed it to them," Mohammmed Afzal Naik said. Ever since Pulwama Attack, the country has been seeing a rage against Kashmiri residents. The suicide attack in Pulwama had been carried out by a 19-year-old Kashmiri, claimed terror group Jaish-e Mohammed, which had accepted responsibility for the blast that killed 40 men of the Central Reserve Police Force. Since then, Kashmiris - students, traders and others - have been targeted across the country.